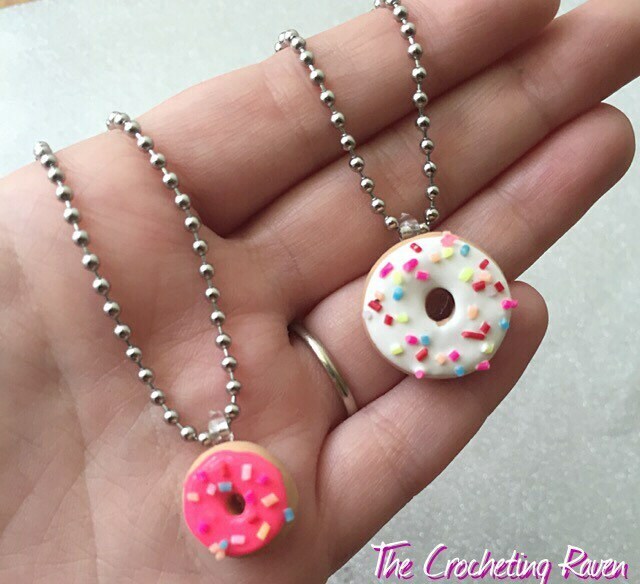 These cute donuts are handmade using polymer clay! 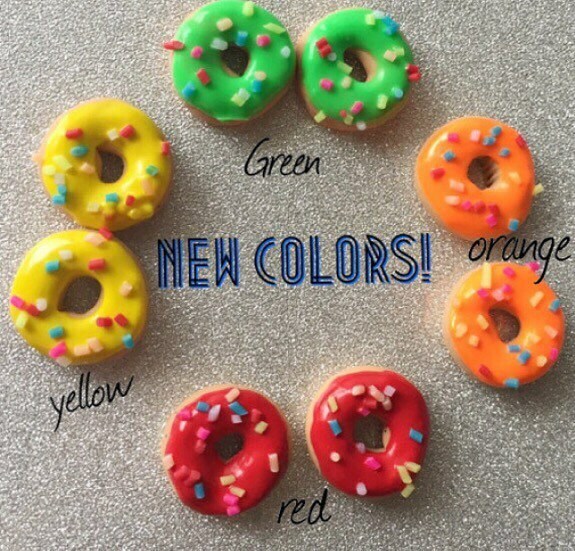 I shape each donut and apply the colored glaze and sprinkles! 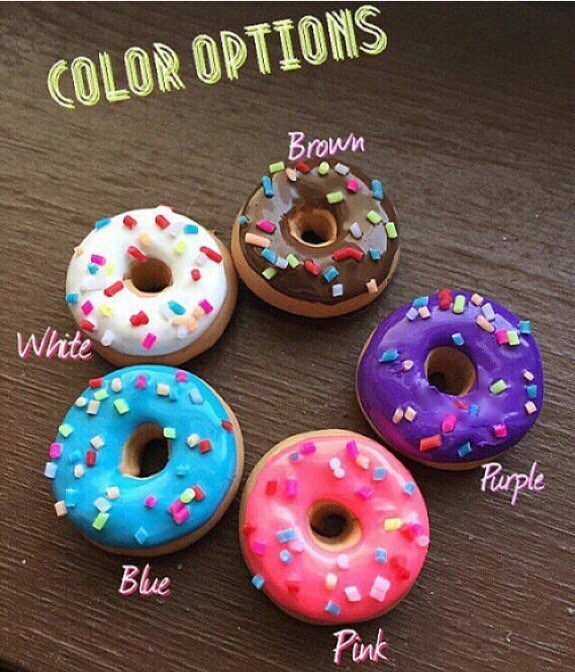 Please use the last two pictures for color references & choose between a small or large donut pendant! 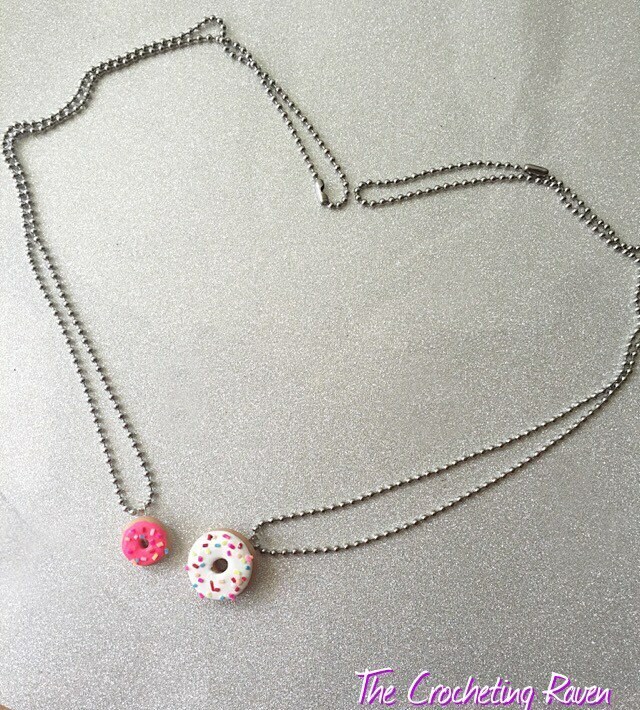 I also have matching earrings so check out my other listings! 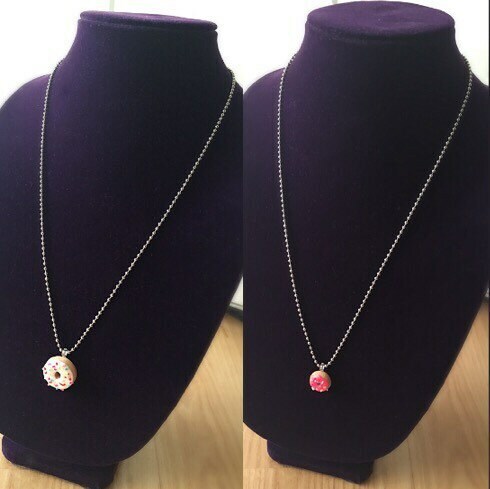 They are mailed in a cute jewelry box!